We are proud to be part of Outing the Past: The National Festival of Lesbian, Gay, Bisexual and Trans history. 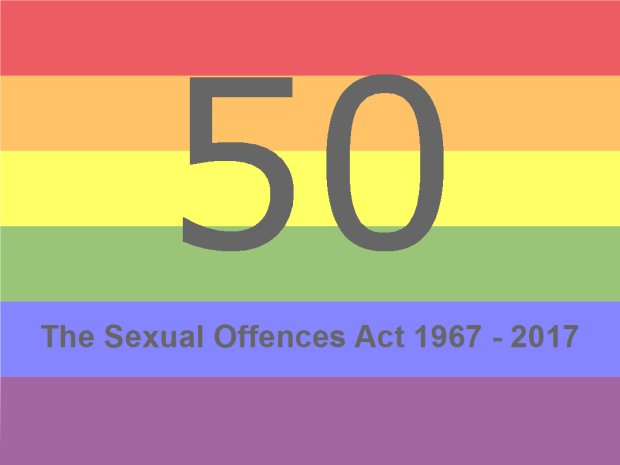 2017 marks 50 years since the Sexual Offences Act of 1967 and this is the theme for the upcoming conference, which will take place on Friday 3rd – Sunday 5th March 2017 at The Bluecoat, Liverpool. 3. Students attending one of Liverpool’s 4 universities. If you are in one of these categories, please email Fiona at academics@schools-out.org.uk. Upon verification of your details, a code will be provided along with instructions on entering this into Eventbrite to access the relevant ticket. We are happy to offer a limited number of free places at certain sessions, please see ‘tickets’ for details.